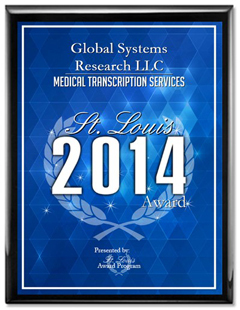 Global Systems Research is a privately owned healthcare informatics company based in Chesterfield, Missouri. 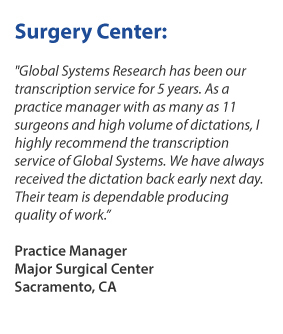 We are one of the leading providers of Medical Transcription. 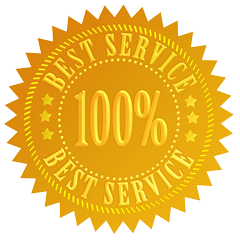 We also offer IT Managed Services for improving operational efficiencies and reducing your IT expense. Our Data Analytics service allows you to convert archived patient data into meaningful and valuable information. 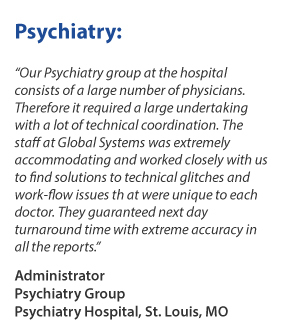 We specialize in developing an IT Disaster Recovery plan for healthcare facilities. 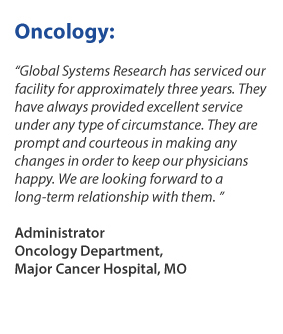 Global Systems Research emphasis is on “Quality of Service” and we are committed to supporting the medical community at large by maintaining accurate healthcare records. 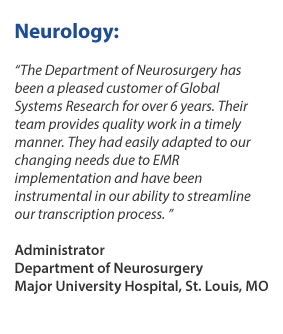 We are proud to uphold the integrity and confidentiality demanded by the Healthcare industry..